VIntage Checker Parts, original and new die-cut decals and emblems. Set includes 8 straight original checkerboard pieces, 5 feet each. 40 feet total to cover the sides of your Checker car. These are the die-cut checker stripes for the roof of the car, made from the original Kalamazoo Factory specifications. 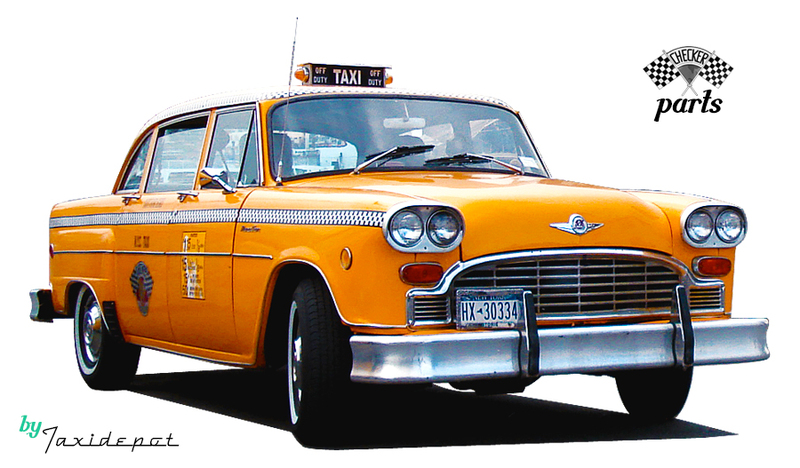 Most iconic Checker Taxi Cab Emblem comes in silver vinyl, with the original blue ocean background only.